Mommy would be such an amazing crafter if, you know, she had any actual skillz, so you KNOW when we post a tutorial it’s *super* simple! 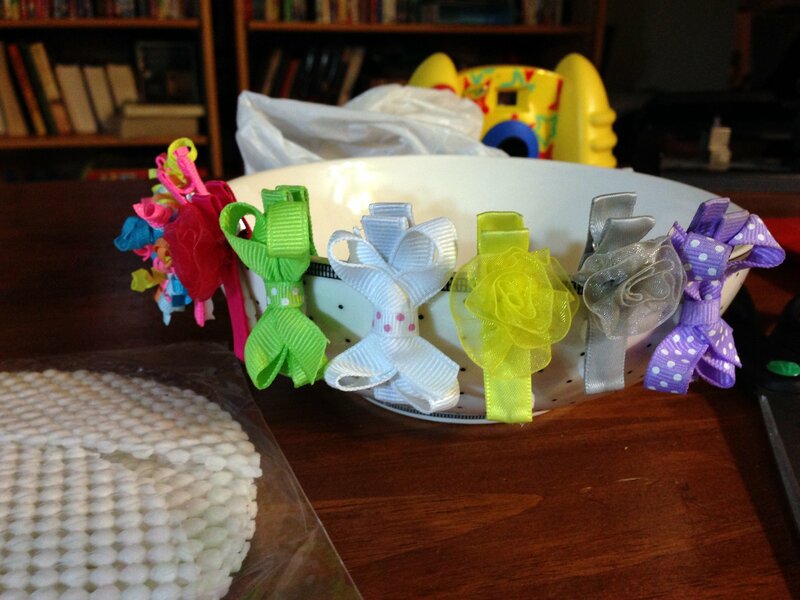 One of Mommy’s very favorite thing about being a girl mom is the accessories – headbands and bows and clippies, oh my! Lulu’s hair, though, is still pretty thin and fine, and lots of clips just slide right out. We got a few flower clips from Etsy with a rubber part that kept them from slipping, and it gave Mommy the idea to modify our other barrettes! It is super easy and cost almost nothing! We found some grippy jar openers at the dollar store, and used hot glue we already had. 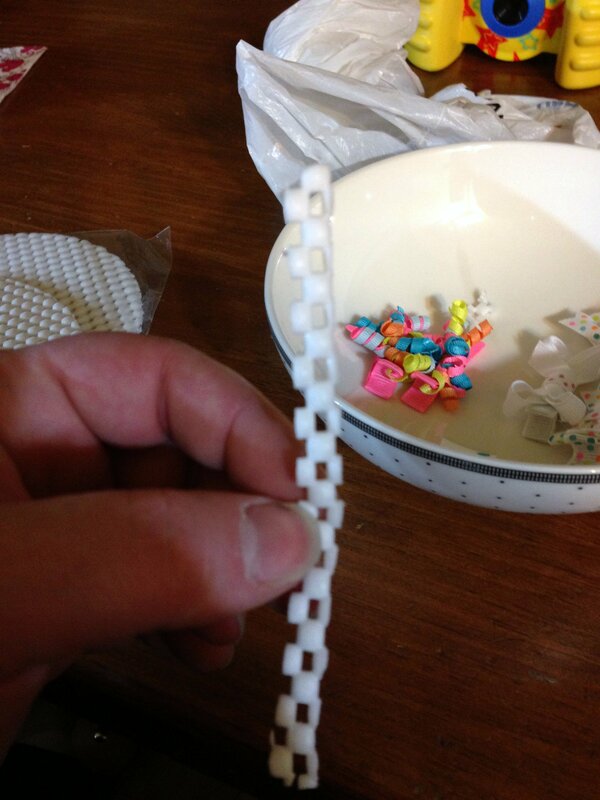 So this project cost $1 – and we have PLENTY of rubbery stuff for more clips! 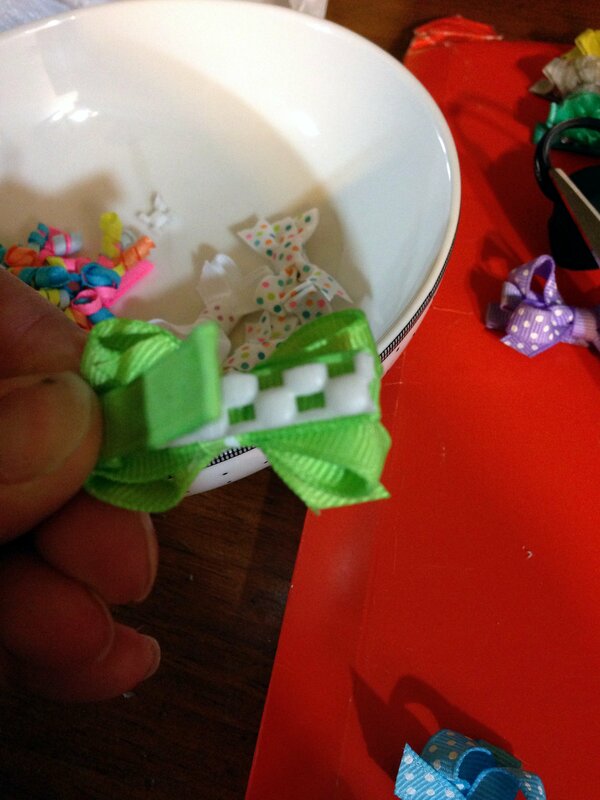 First, Mommy used one of the barrettes as a template and cut the grippy stuff into strips. 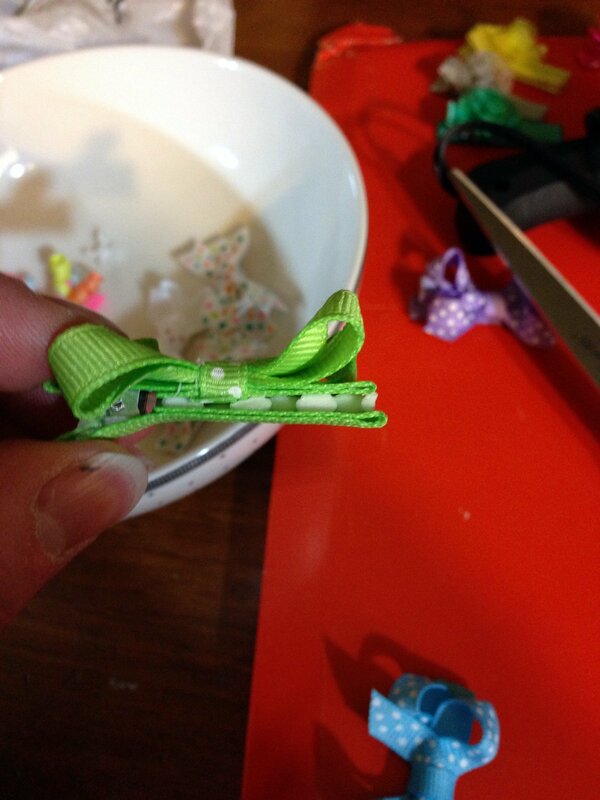 Then, she cut the strips to size and hot glued them to the top arm of the clippie. 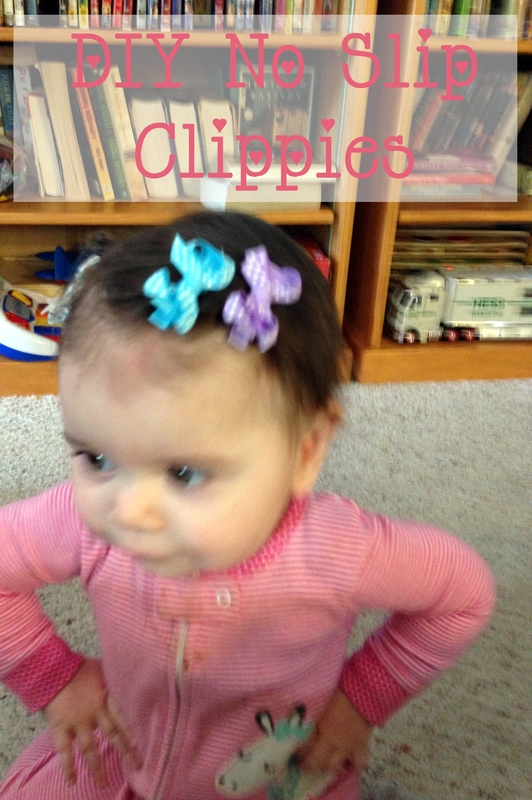 It took all of 15 minutes for Mommy to un-slippify all of Baby Lulu’s clips – easy peasy! O…M…G!!! That is an AMAZING trick!!! I wish I’d known that when my daughter was little!! Thanks – it took all of 10 minutes to do about a dozen clips. 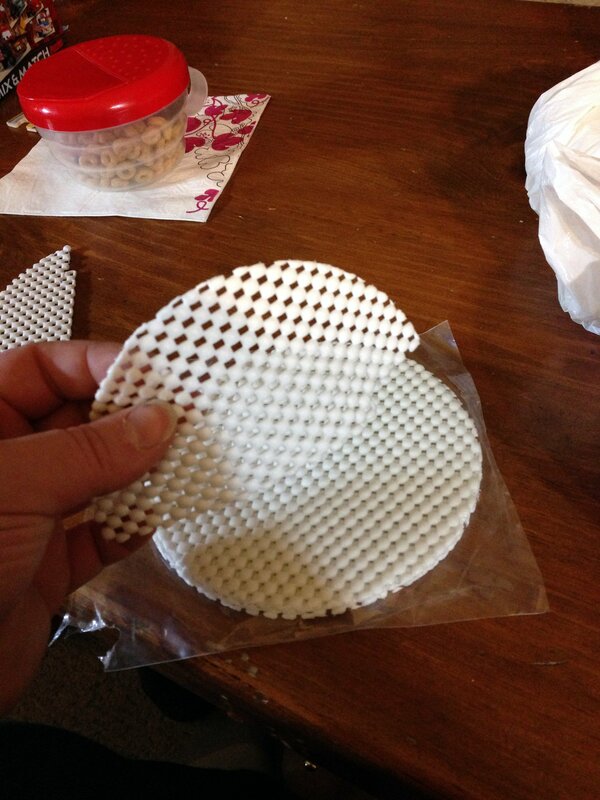 My kind of project, easy & cheap! I got the idea from the ones I bought on Etsy – but, unlike LOTS of my ideas, it actually worked!